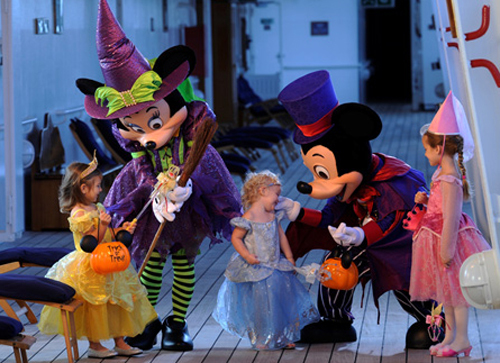 Mickey’s Not So Scary Halloween Party was great – but now you’ve been pilfering from the trick-or-treat stash. This week your kids have come home with bucketfuls of candy. This candy binge has to end! Or does it? Fortunately, there are dozens of things you can do with leftover candy to make sure not a single sweet treat goes to waste. Thanks to the Huffington Post for all of these great ideas! Hand Pies. It doesn’t get simpler than this. Buy pre-made refrigerated pie crust and use a cookie cutter to cut it into circles. Chop up the candy, sprinkle it on the crust, fold it over, crimp the edges and bake. Stained Glass Cookies. Here’s an idea for your leftover lollipops and hard candies. First, crush candies up in a food processor. Roll out sugar cookie dough, cut your shape, then use a smaller cookie cutter to cut out the center. Place the outlined shape on a baking sheet lined with parchment. Fill the center with your crushed hard candy and bake the required time. Four ingredients is all you need for this delicious ice cream. Melt 4 oz chopped candy bars with a ½ cup sweetened condensed milk in a double boiler. Then stir in a cup each of whole milk and half and half. Refrigerate for 2 hours, process in an ice cream maker and sprinkle some chopped candy bars on it before serving. So easy, so delicious! Melt plain chocolate bars in a double boiler and then pour onto a parchment-lined baking sheet. Spread into an even layer, then sprinkle on an assortment of leftover candy. Let it set for a few hours and enjoy. Use a food processor, nut grinder, or microplane to create candy grounds for all your holiday baking. Use it as ice cream topping, bake it into cookies, sprinkle on top of cupcakes or cheesecakes, and stir it into your hot chocolate. It will be much easier to control your child’s candy intake if you incorporate it into an advent calendar. There are a million ways to do it. We like this one where you take a bulletin board and use a hodgepodge of boxes for each day. Click the photo to be taken to the instructions on ArtistsHelpingChildren.org. Save it for the gingerbread men. A gingerbread house doesn’t have to be all gum drops and candy canes. Your Halloween candy can make a castle fit for a gingerbread king like a chocolate bar thatched roof! Buy a Styrofoam wreath from a craft store. Wrap a decorative ribbon around the top of your wreath and tie it off to create a wreath hook for your door. Then glue on candy starting with the biggest pieces. For a glue-free wreath use lollipops and stick them right into the Styrofoam. Click on the photo below go be taken to KnittingNeedlesandRunningShoes.blogspot.com for instructions. Donate it to the troops. Get into the spirit of giving with your leftover Halloween candy. Non-profits are gearing up to send holiday care packages to troops and Halloween candy is the perfect addition. So what do you think? Will you be doing any of these? Check out show #74 with the impressive Jeff Baham! Jeff has had a long history with Disney which is very interesting. Besides all of that though, I think Jeff is SO cool. You know how you get to talk to someone and from that day on – you just think wow…that person is SO cool? Yeah…that is Jeff. You will hear on the show that he is amazingly humble and knowledgeable. I don’t listen to a lot of other Disney podcasts but Jeff’s podcast – Moustalgia is on my list. I love learning about Disneyland since I have never been there. The team has great chemistry on the show, and each podcast ropes me in from beginning to end! It’s no surprise that Mousetalgia was nominated for the Podcast Awards this year. You can vote for them here. Jeff is the author of THE Unofficial History of Disney’s Haunted Mansion. He has years of involvement with his award-winning Disney fan sites, such as Doombuggies.com – AND he hosts the Moustalgia Podcast. You can also check out Doombuggies.com for a link to listen to his brand new podcast all about the Haunted Mansion. He has served a term on the Disneyland Creative Advisory Council, and has worked closely with Disneyland and Walt Disney World to help develop and promote special events, including a re-creation of Disneyland’s Tahitian Terrace in 2012. This guy has even rubbed elbows with some of Disney’s greatest legends– including Richard Sherman! For a limited time, you can enter here to win a free autographed copy of Jeff’s book! How Jeff and his team celebrated the 10th anniversary of Doom Buggies – wow what a party!! If both were falling off a cliff – would Jeff save Disneyland’s Haunted Mansion or Disney World’s Haunted Mansion? Find out here! Thanks for listening and be sure and send us your feedback! Have a magical day! 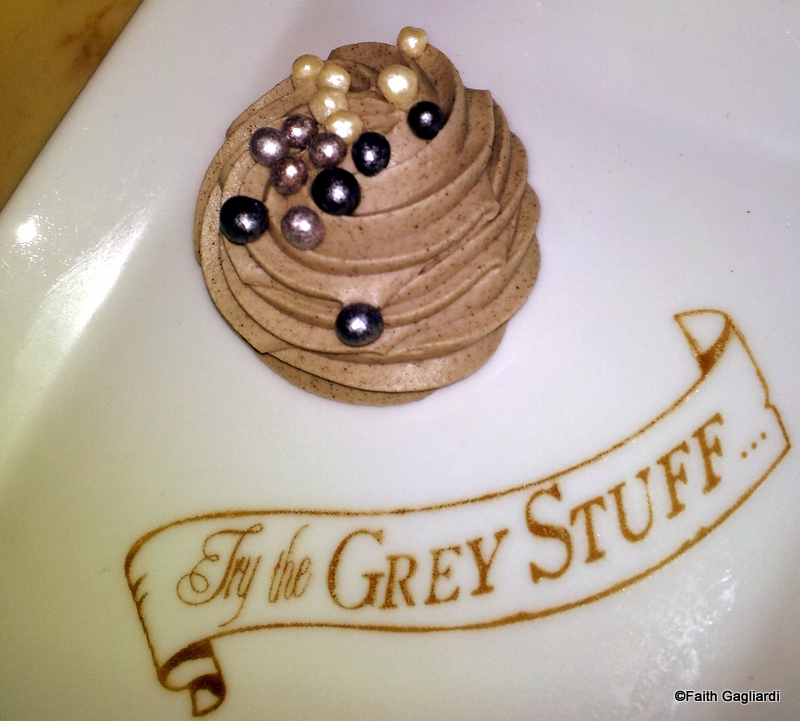 Dates & Pricing for MNSSHP, NOJ, and MVMCP! Tickets Available Now! 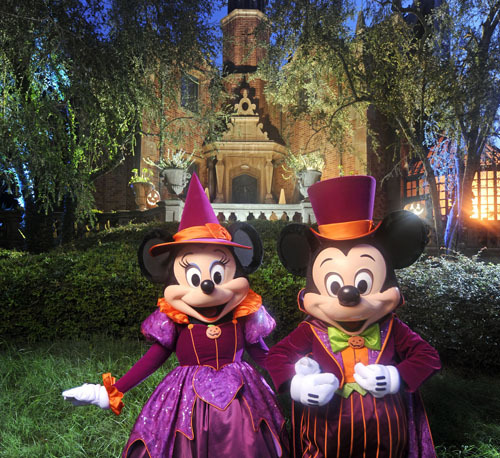 We now have the official dates and prices for Night of Joy,Mickey’s Not So Scary Halloween Party, and Mickey’s Very Merry Christmas Party in 2013. Tickets for all three events go on sale May 1, 2013. Described by Disney as a “contemporary Christian music festival,” Night of Joy will be held on September 6 and 7 from 7:30pm to 1:00am. Prices are $55.00 for one night in advance, $65.00 if bought the day of the event, and $99.00 for both nights if bought in advance. 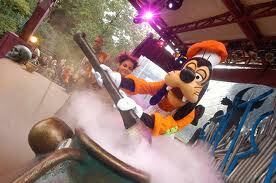 Tickets may be purchased in advance (starting May 1) from Disney’s website or by calling 407-939-7211. September dates (excluding September 29): Ages 10 and up: $59.00 plus tax. Children ages 3-9: $54.00 plus tax. September 29 and October/November dates (excluding October 31): Ages 10 and up: $62.00 plus tax. Children ages 3-9: $57.00 plus tax. 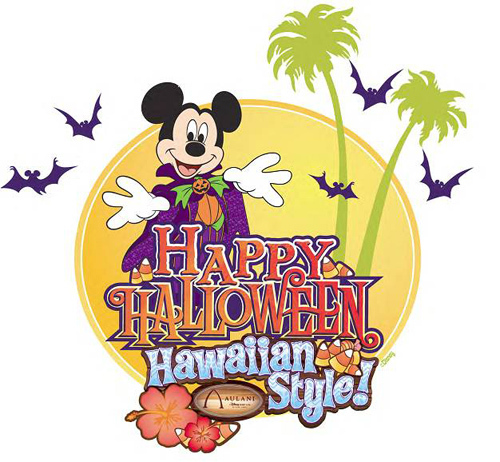 Advance sale pricing is not available for the October 11, 18, 25, and 31 parties. September dates (excluding September 29): Ages 10 and up: $65.00 plus tax. Children ages 3-9: $60.00 plus tax. September 29 and October/November dates (excluding October 31): Ages 10 and up: $67.00 plus tax. Children ages 3-9: $62.00 plus tax. October 31: Ages 10 and up: $73.00 plus tax. Children ages 3-9: $68.00 plus tax. This year Active and Retired U.S. Military, including members of the U.S. Coast Guard and active members of National Guard or Reservists, may purchase discounted Halloween party tickets for select event nights. They may also purchase additional tickets for up to five family members or friends. These dates are: September 10, 13, 17, 20, 24, and 27. Prices are $41.30 for ages 10 and up. Children ages 3-9 are $37.80 plus tax. Military purchasing tickets at Shades of Green receive the same discount, but tickets purchased there are exempt from sales tax. Advance sale tickets: Ages 10 and up: $62.00 plus tax. Children ages 3-9: $57.00 plus tax. Advance sale pricing is not available for parties on November 22, December 6, 13, 19, and 20. Day of Event tickets: Ages 10 and up: $67.00. Children ages 3-9: $62.00. Premium Night (December 20): Ages 10 and up: $71.00. Children ages 3-9: $66.00. There is also a military discount on select nights for the Christmas party. Dates are November 8, 11, 14, 15, 17, and 21. Prices are $43.40 plus tax for ages 10 and up. Children ages 3-9 are $39.90. Military purchasing tickets at Shades of Green receive the same discount, but tickets purchased there are exempt from sales tax.